Like it or not Administrative work is what gets you paid! You process a lot of cars, all day long, every day. You like cars and you are good at working with them, that’s why you are in this business. And while cars are your business, the administrative work is what gets you paid and that starts on the front end. Collecting accurate vehicle information upfront will save you time and headaches down the road. 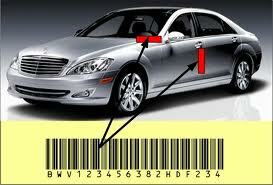 This starts with the VIN, Stock, and or Tag Number. The VIN contains specific information about each car – make, model, year, features and provides a positive identification for the car you are working on. But this information is useless if those 17 digits are not written down or transposed correctly. Photos are another important part of your documentation. Before and after photos are more than a testimony to the quality of your work, they are a requirement of invoicing in many cases. Organizing these photos, in the right order, for easy reference later can be difficult and time consuming. The same thing is true with written text. If the note gets put in the wrong file you end up with egg on your face at the least, and it could cost you financially as well. ReconPro can provide solutions to theses obstacles. It digitally captures the VIN and can attach photos and notes to the file so it is all stored together. Can you talk faster than you type? I do. Capture your thoughts in a voice note and attach it to the inspection or work order. It can even warn you if a work order has already been created for that VIN. ReconPro gives you the peace of mind that your customers’ information is captured and stored correctly from the start, and this allows you to focus on cars. Click here to see other ways ReconPro can help keep you organized and enhance your professional image.